Tracker Software Products :: Knowledge Base :: Why is the attachments pane hidden when I open PDF portfolio files in PDF-XChange Viewer? The build in use is older than build 2.047, in which the default settings were changed to open the attachment pane automatically. The simplest solution is to update to the most recent build of the software, which is available here. The attachments pane will then open and when portfolio files are opened subsequently it will open automatically. 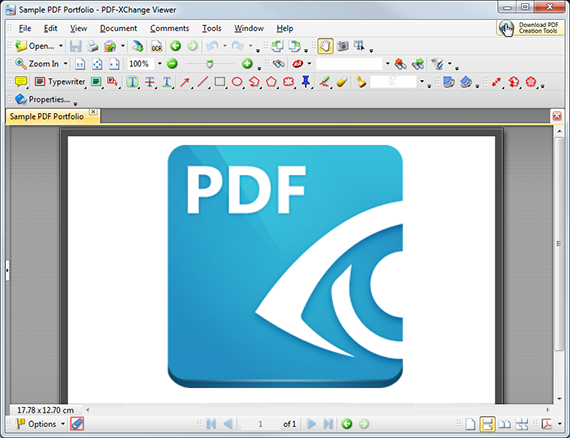 Please note that PDF-XChange Editor has now superseded PDF-XChange Viewer, which has been discontinued.